The 5G Forum is consolidated as the main event of reference specifically on the 5G in Spain, and will be held on Wednesday 24th and Thursday 25th April in the Digital Content Hub in Malaga top national and international experts, with the participation of companies and speakers from more than 20 countries. 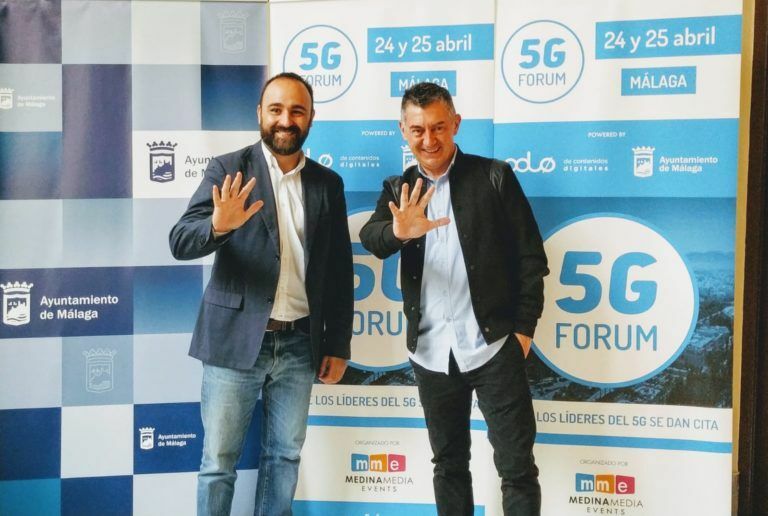 The agenda of the 5G Forum, which includes 30 keynotes and panels, has been announced today in the City of Malaga by the Councillor for Innovation and New Technologies, Mario Cortés, and by the CEO of Medina Media Events, Ricardo Medina, who organizes the event. 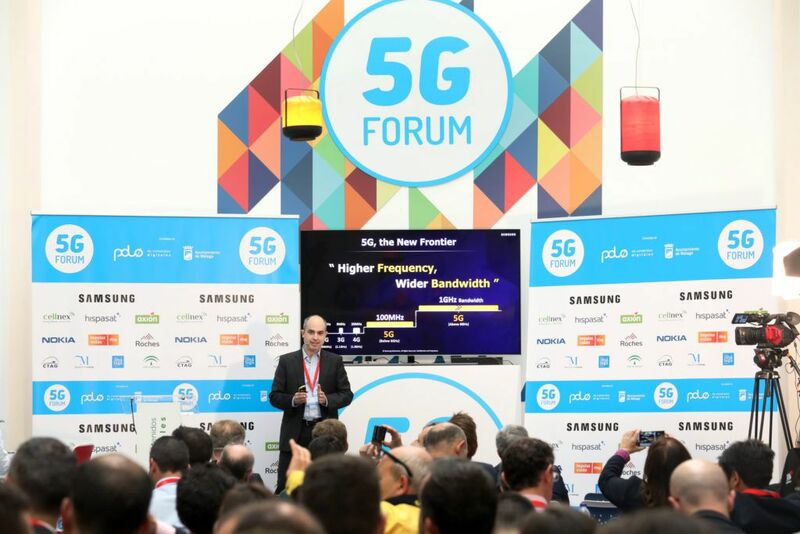 One of the objectives of the 5G Forum is to become a reference forum in which, two months after the Mobile World Congress in Barcelona, companies present their novelties and projects in a less frenetic and much more personalized way to a very specialized public, limited to 250 attendees. 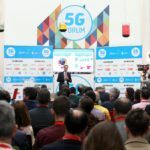 The four main Spanish operators (Telefónica, Orange, Vodafone and MásMóvil) have already confirmed their participation in the 5GForum and in the coming weeks will unveil the names of their speakers and specific topics. 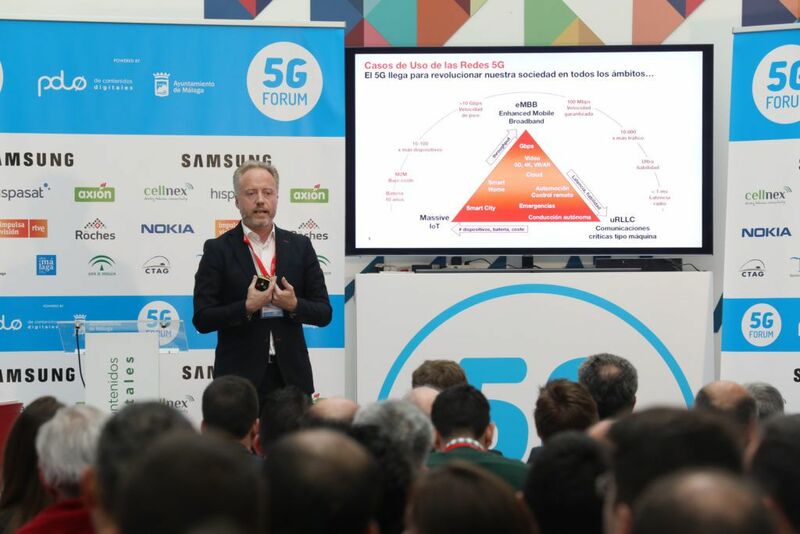 Orange, which sponsors this event, will launch this year 35 scenarios for the use of the 5G network in Barcelona, Seville, Santiago de Compostela, Vigo, Malaga, Valencia and Bilbao, within the framework of the aid programme for pilot projects related to the new 5G mobile technology. In this way you will see, in real scenarios, the great advantages provided by 5G in areas such as robotization, tourism, virtual classrooms or connected cars. 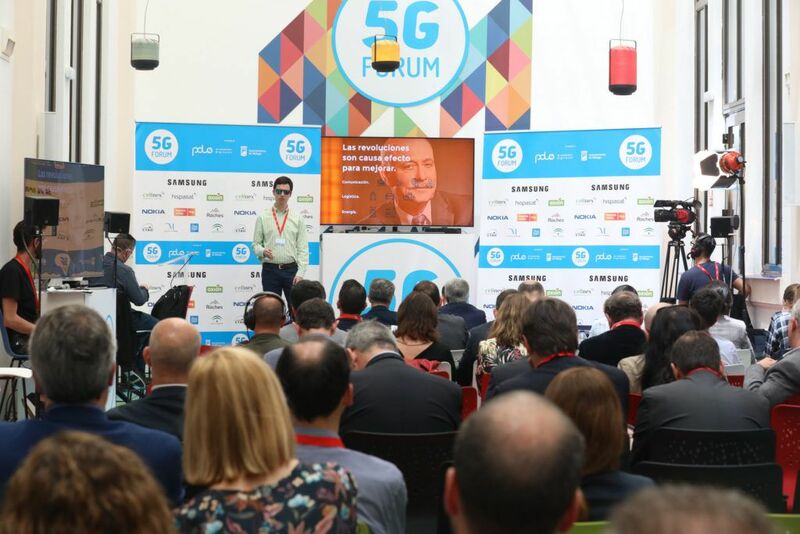 Other main multinationals have already confirmed their participation in the 5GForum in Malaga: Samsung (Korea), Nokia (Finland), Cisco and Keysight (United States), Huawei (China), Rohde & Schwarz (Germany), Intracom (Greece), Ericsson (Sweden), EBU/UER and the pan-European 5Genesis project. 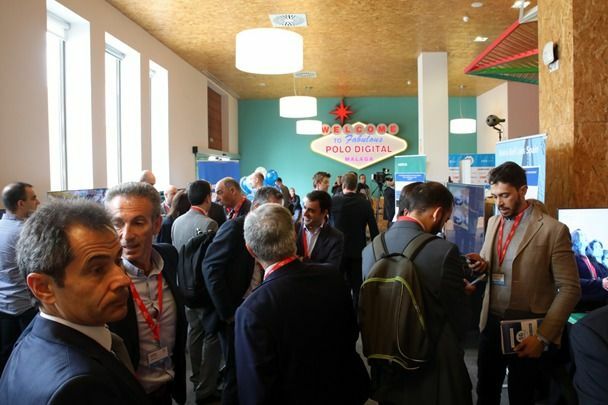 The event, which last year in its first edition already hung the poster “no tickets” and was recognized for its level of networking, also has among its Spanish sponsors: Cellnex, Hispasat, Axión, RTVE, Lyntia and Reintel. One of the most interesting attractions of the 5GForum will be the presentation in society of the two large pilot projects (each of 10 million euros), which the Government will allocate in the coming weeks. 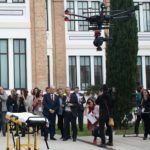 The Telecommunications sector is waiting for this announcement, whose winners will have their first examination in Malaga before the top specialists of the 5G in our country. Other of the points of maximum interest of this second edition of the 5GForum will be the presentation by Antonio Fernández-Paniagua, from the Ministry of Economy and Business, on the status of the National Implementation Plan of the 5G. In addition, Fernández-Paniagua will arrive at the Malaga meeting with the last minute of the European Commission, which has called a special meeting for 24th April in Brussels. 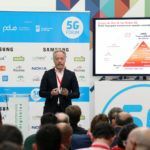 For his part, the director of the National 5G Observatory (ON5G), Federico Ruiz, will present his agency’s action plan for 2019 and 2020 in relation to the 5G in the whole of Spain at the Digital Content Hub in Malaga. The great advance of this second edition of the 5GForum of Malaga is its internationalization, adding new sponsors and first level speakers. In addition, polytechnic universities from Spain, Denmark, Germany, Greece, United Kingdom and Malta will be present through different public-private projects. For example, the pan-European project 5Genesis, participated among others by universities of Malaga, Limassol, Berlin, Athens and Surrey, will be presented at the 5GForum by its technical director, UMA professor Pedro Merino. The American multinational Cisco, world leader in Internet networks, is also participating this year as a sponsor. With more than 100 5G projects underway globally, 40 service providers are already field-testing Cisco’s 5G Now solutions. Virginia Teixeira, head of Cisco for Service Providers at EMEAR, (Europe, Middle East, Africa and Russia) will demonstrate the company’s vision. As last year, the Finnish multinational NOKIA will make a spectacular landing at the 5G Forum with 6 practical examples that can be examined by experts in the Demo Area of the Digital Content Hub (Avda. Sor Teresa Prat, 15). The director of Nokia’s prestigious Bell Labs in Spain, Álvaro Villegas, will be present at the Auditorium to present all the news with his keynote “innovating with 5G: Here and Now”. One of NOKIA’s practical demos will be a practical case in real time, applying Artificial Intelligence to measure audiences in the conferences of the 5G Forum. 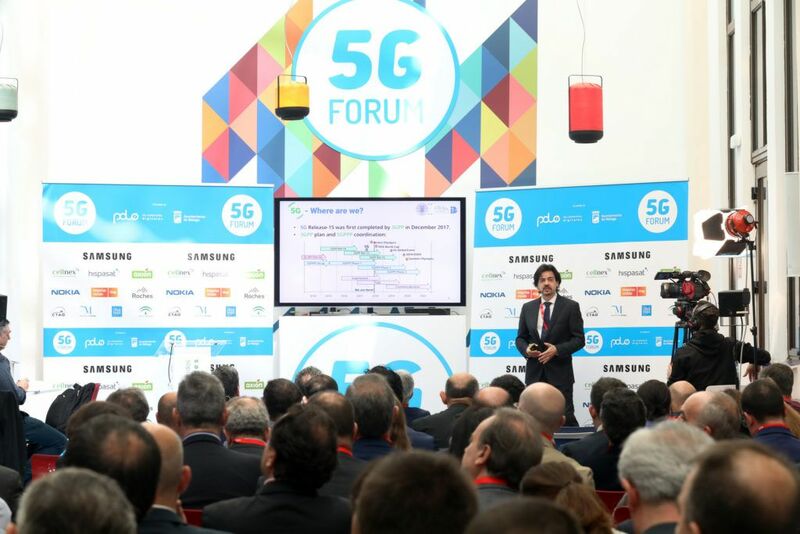 The Greek multinational INTRACOM TELECOM, with presence in more than 70 countries, will be another of the novelties of the 2nd edition of the 5GForum in Malaga. The presence of the United States will also be amplified with Keysight Technologies, manufacturer of equipment for the verification of 5G devices. This is one of the key points in the development of this new technology, since without the verification that all the elements of the chain have the specifications required by the regulators, the consumer will be the most harmed. The Korean multinational Samsung, focused on use cases in Governments, Industries and Consumers, will talk about its experience in 5G in the United States. Samsung will bring its experience in markets such as Turkey, Germany, Italy and South Africa, among others. One of the sectors where the 5G is closer to becoming popular is the Connected Automobile, which in this second year of the 5GForum will also have an outstanding presence. Aitor Fernández, president of the Spanish Association of Connected Autonomous Vehicles (AEVAC), will open the conference block related to connected mobility. Aitor Fernández, who lost his sight at the age of 14, dazzled all attendees last year with a visionary keynote on the importance of 5G for the blind and disabled. SEAT will also once again be present at the 5GForum, focusing this year on the development of antennas and pilot projects with 5G, which it presented at the MWC in Barcelona. In line with the international evolution of the 5GForum in Malaga, the Swedish multinational ERICSSON sends this year the 5GForum to the Italñian-Moroccan engineer Somaya El Marrakchi, Head of Ericsson Networks for Spain and Portugal. El Marrakchi will give a keynote in English on “Make 5G a Reality”, aimed at supporting customers on their digital transformation journey. Another keynote in English will be by the Tunisian engineer Mohamed Aziz Taga, Product Manager for Broadcast 5G of the German multinational Rohde & Schwarz. Taga will focus his keynote on the advantages that 5G will have for television broadcasts, improving quality and user experience. European public broadcasters will also be presenting their experiences at the 5GForum. Croatian engineer Darko Ratkaj, Senior Project Manager of the European Broadcasting Union (EBU/UER) will explain the opportunities that 5G brings to operators. His participation, which will also be in English, evidences the internationalization and international interest that the 5GForum of Malaga is having. After the EBU/UER it will be the turn of Pere Vila, Director of Technology, Innovation and Systems of RTVE, who will discuss about the experiences being made by the state public television in relation to 5G. RTVE‘s participation will be completed with an update by Esteban Mayoral on “Impulsa Visión”, the programme of aid and support for Innovation and Entrepreneurship in companies and startups. The keynote of RTVE’s “Impulsa Vision” will be part of the half day of open doors (Thursday 25th April, from 15:30 to 19:00) in which students, professors and university researchers (prior registration) will have access to a series of keynotes and panels on the 5G. Narcís Cardona, professor at the Polytechnic University of Valencia (UPV), will advance the news of the Global 5G and the EU-CNC, which will meet for the first time in Spain in June in Valencia. The University of Malaga (UMA), through its vice-chancellor Raquel Barco, will report on the progress of its ONE5G project, in which universities from Denmark and Germany are also collaborating. The block dedicated to universities will also be attended by Professor José Manuel Menéndez, professor at the Polytechnic University of Madrid (UPM), who will explain the experience of the 5GMedia project, in which various institutions and public and private companies from Greece, Germany, Austria, Switzerland and the United Kingdom participate. 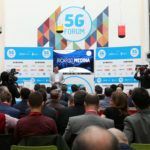 In its second edition, the 5GForum of Malaga will count on the collaboration of outstanding institutions and companies such as Extenda, the University of Malaga, AEVAC, the Colegio Oficial de Graduados e Ingenieros Técnicos de Telecomunicación, AOTEC, the Fundaciación AVA, Cities Forum and the Victoria beer from Malaga.